Checking out University of Illinois? Feel free to contact, for a wealth of information about this great University, Hear all about Jewish Life, opportunities, Kosher foods and more. Additionally Rabbi Dovid and Goldie know hundreds of students, both undergraduate and graduate levels at the university. Planing a visit? 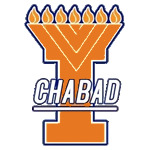 give us a call at 217 355 TORA or email Rabbi Dovid at rabbi@jewishillini.org , we'd love to meet you and discuss Jewish Life on Campus.